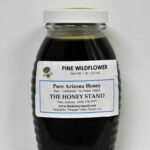 The Honey Stand in Pine, Arizona has a collection of Pure, Raw, Arizona honey that you will find nowhere else. 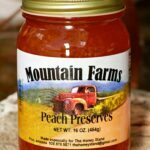 Our shelves are also filled with over 60 varieties of pure fruit jams, jellies, butters and salsas that are second to none. 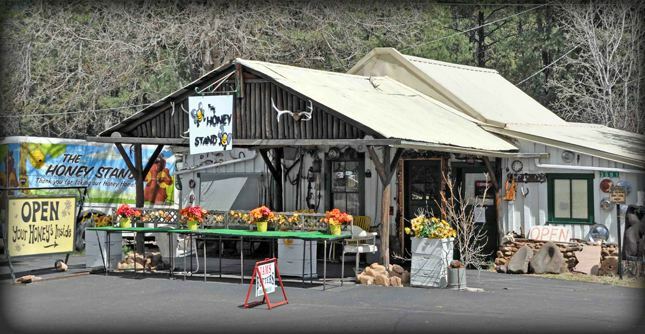 You can not travel through the little mountain community of Pine, Arizona on North AZ Highway 87 without passing the historic building in which is located our business—The Honey Stand. 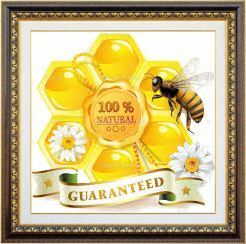 We occupy one of the oldest buildings in Pine and one that we are sure you will not want to pass by as we have the best selection of raw Arizona honey and many other natural products in the northern part of the state. 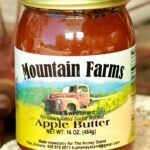 However, if you are not going to be in our area please take time now to look through our large list of delicious natural raw honeys, jams, butters, salsas and many other items which we can ship to your door wherever you might live. 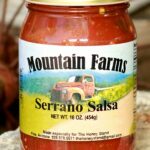 Thank you for stopping by our website we hope you find something you like.